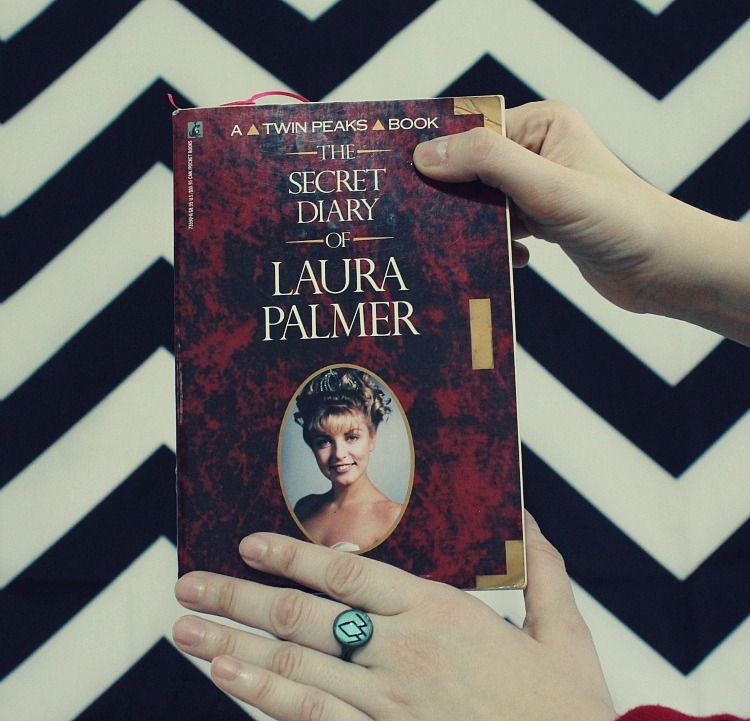 Even though I normally post on my pop culture segments on tuesdays, today actually marks the 26th Anniversary of the mysterious and tragic Laura Palmer's death. 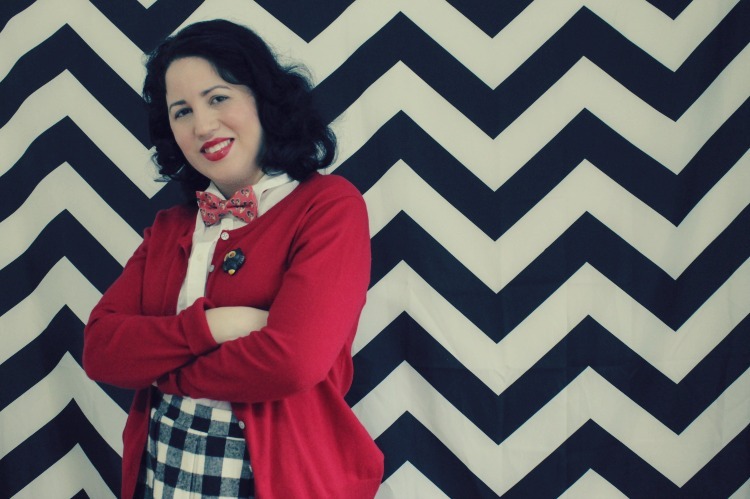 It also marks the day that the dapper Agent Cooper came to the seemingly quiet town of Twin Peaks to help solve her murder. 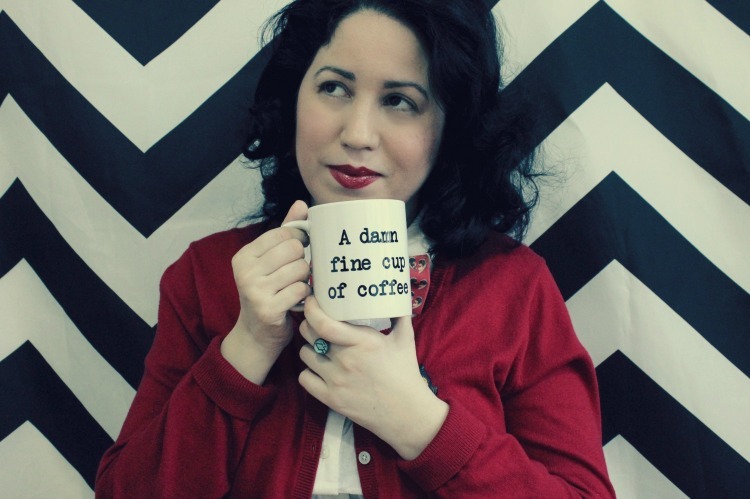 So today I bring you a dose of pop culture with my ode to Twin Peaks in celebration of national Twin Peaks Day! I know a lot of people debate whether or not the 90's can be classified as vintage but a heap of good stuff did come out of the 90's. I normally don't embrace the 90's but I have been making an effort to like it more. I wore all the typical fashions back then and maybe one day I will share some pictures if you like. I did the brown matte lipstick, baby doll dresses with doc marten boots. It was fun and I can totally see the appeal of the those styles coming back because frankly they were simultaneously funky and comfy. You can't beat that combo! But the one thing from the 90's that I still revisit today isn't the fashion but rather the films and tv shows that were on in that time. We have shows like Buffy the Vampire Slayer, Highlander, Xena: Warrior Princess, and films like Clueless, Mallrats, and Reality Bites that are just insanely good and worth revisiting. One such show is Twin Peaks. Its level of artistry still resonates with viewers today. With Twin Peaks we were immediately thrown into the mystery of solving the tragic murder of the teen prom queen, Laura Palmer. That very first episode we quickly get introduced to all of the towns quirky residents like Laura, Agent Cooper, Sheriff Harry S. Truman, Audrey Horne, The Log Lady and so many more. If you were watching it back in the 90's you either loved it or were weirded out by it. I was both. Just last year I re-watched it and the film as well, falling more in love with the magic that David Lynch weaves into our minds. 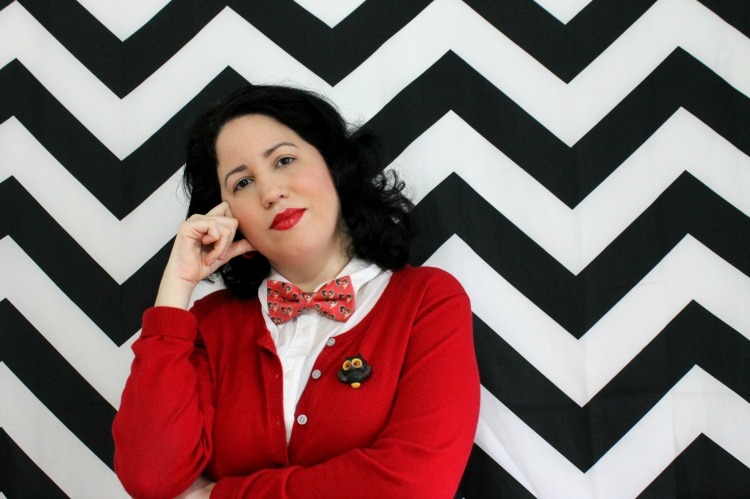 Here is my very own Ode to Twin Peaks inspired outfit with of course some vintage inspiration in mind. 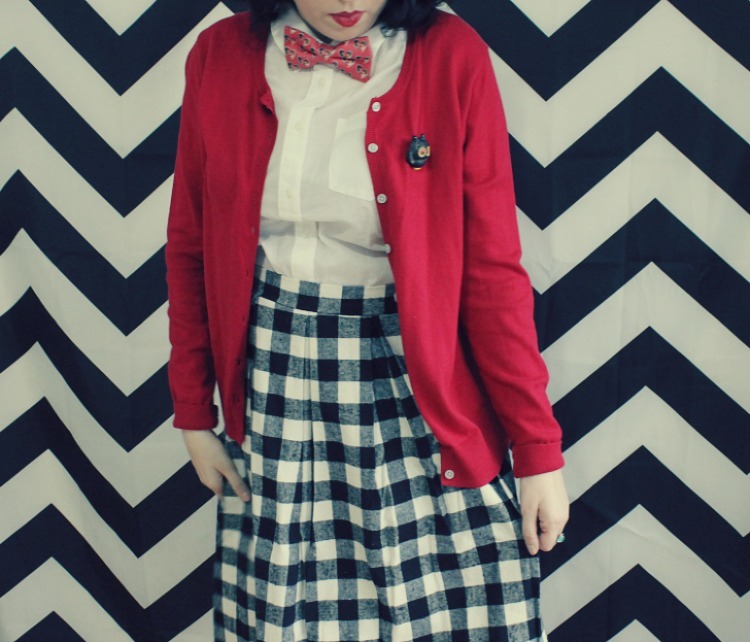 I modeled my outfit from both the styles of the characters of Laura Palmer and Audrey Horne. 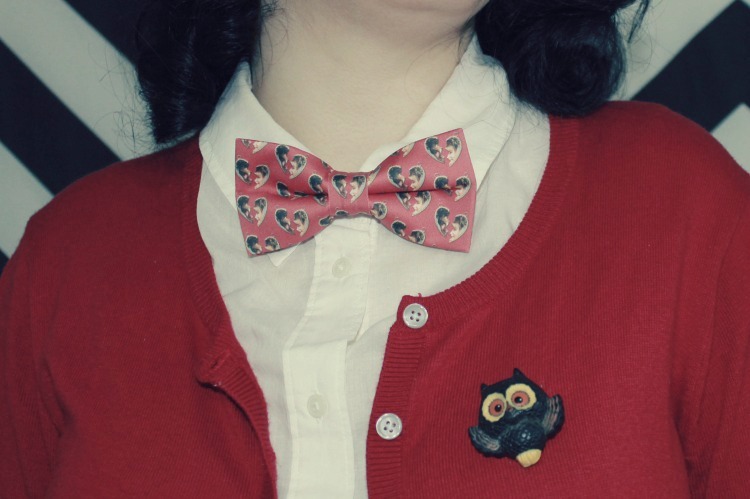 They were almost always dressed with a vintage flare and I always loved that classic style. I had so much fun with this shoot and dressing up. Its such a doable and easy outfit to put together. I scored each piece via sales so it was also very affordable. I hope for those of you who are fans of the show and fans of David Lynch that you enjoy the details from the show that I added into my shoot. Even the background has a special meaning. For those of you who don't know about this show, I say go ahead and check it out. Keep your mind open and let the art of the story speak for itself. 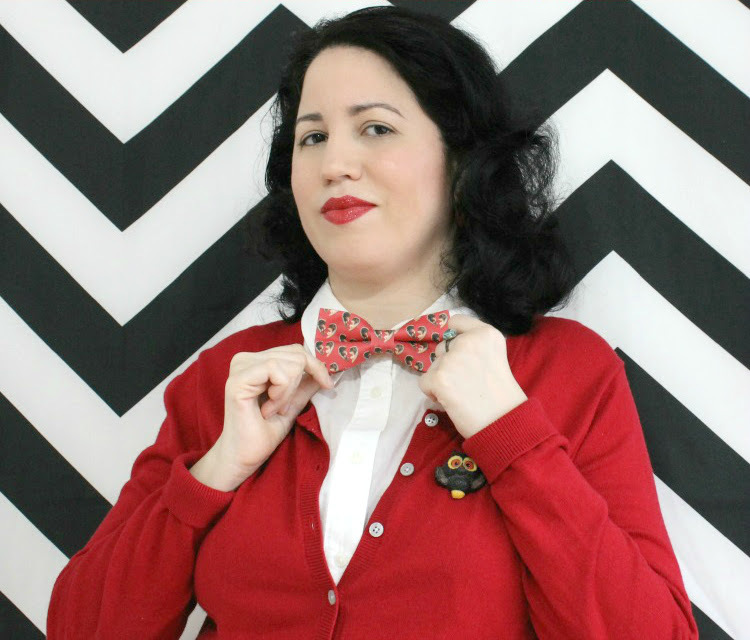 Outfit: Red Cardigan from Old Navy, White Blouse from Boden, Black Plaid Skirt from Modcloth, Owl Brooch is Vintage, Laura Palmer Bow Tie from The Vintage Beau, Owl Cave Ring from Chemical Plant Zone, Agent Cooper Mug from JandAWares. This is all kinds of awesome!!! Wonderful tribute ensemble, sweet lady. Once again an entertaining piece that gets me wanting to revisit the 90s, loved twin peaks and reality bites soundtrack is a fav of mine. Go the doc Martin! !! I love this! Right down to your backdrop! 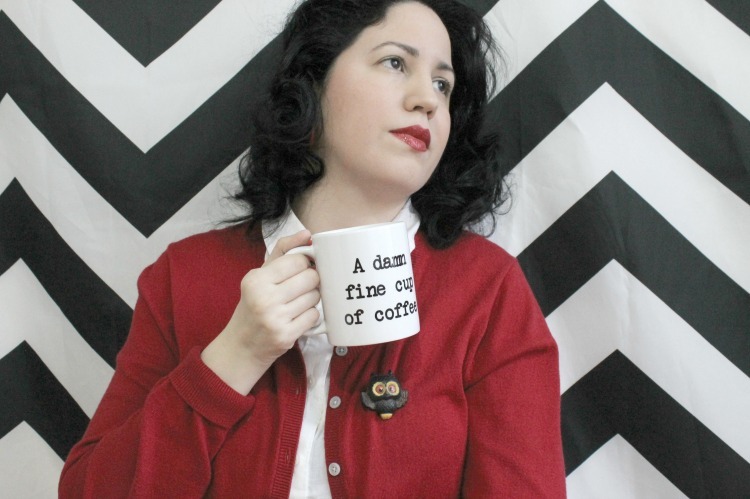 Did you ever see the Twin Peaks inspired clothing collection that came out awhile ago? I wanted the Laura dress so badly, along with the girls room cape I think it was.